We do DCS grill repair! Fast, convenient and professional service! We are DCS grill repair experts. Our company has more than 30 years of experience repairing, cleaning and restoring BBQ grills. In particular, we specialize in high-end, luxury brands such as DCS. DCS grills are made to last as long as you take good care of them. You need to hire a real expert when you DCS grill brakes or needs professional maintenance. We are highly skilled with all models of DCS whether 20 years old or brand new. In fact, our technicians are all factory trained and certified. As BBQ grilling appliances technology advances we learn the new techniques about how to keep your grill in the best shape possible. 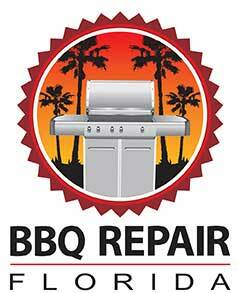 BBQ Repair Texas offer you the best customer service around. We are always on time and give you a “heads up” phone call before your scheduled appointment. Our technicians are super friendly, respectful and ready to help. We offer you FREE service all with every repair and FREE, accurate estimate of any project. We make every service appointment easy and convenient for you. But most importantly your DCS will be totally functional, clean and safe after a visit from us. After you give us a call all at 469-440-2605, we will be ready to do DCS grill repair for you. We will schedule a convenient appointment and gather all the necessary parts for your particular project. We have a majority of the parts in our warehouse, but if we can’t find something, we can alway preorder it for you. The parts we carry are of highest quality and have a 3 year warranty on them. We come out to every job fully ready with all the parts and tools at hand. Why hire us to do your DCS grill repair? We are simply the best-qualified company out there to repair your DCS grills. Our technicians have all the skills and experience needed for this project. They are factory trained and certified. They are on top of all the latest technology and innovations in grilling appliances. Our technicians will work fast and do the job right the first time around. Nobody can beat us when it comes to customer service. Our repair appointments and easy and convenient for you and we work around your schedule. The result will be an absolutely functional grill that is clean and safe to use. You will taste the difference in the food you prepare, and you will experience the difference when you do your barbecuing. For DCS grill repair, please call us at 469-440-2605! Or fill out of short online form! Besides DCS grill repair we also do all the other brands such as Alfresco, Capital, Fire Magic, Kalamazoo, Lynx, TEC, Thermador, Twin Eagles, Viking, Weber, and Wolf. We do gas barbecue repair, smoker barbecue repair, electric barbecue repair, portable barbecue repair, charcoal barbecue repair, freestanding barbecue repair, built in barbecue repair. We also repair, install and clean outdoor kitchens, cooktops, pizza ovens, sinks, outdoor refrigerators, wine coolers, dishwashers, beer taps, smokers, hibachi grills, warming drawers, patio heaters and much more. We will be happy to hear from you about any of your outdoor appliance needs! We are DCS grill repair experts. Our company has more than 30 years of experience repairing, cleaning and restoring BBQ grills. In particular, we specialize in high-end, luxury brands such as DCS. DCS grills are made to last as long as you take good care of them.